Everyone at Simple Blessings would like to wish all our customers a Happy Easter filled with the Lord’s love and Heavenly light. We send a special prayer that your heart and your home will be filled with the blessings of this beautiful season. May your spirit be renewed by the miracle of Easter and may your faith be refreshed by the love and grace that surround and protect you everyday. 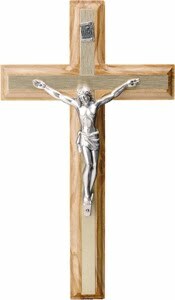 Our Easter range of products and devotional gifts are available throughout the year and include, religious icons, Stations of the Cross rosary beads, wall crosses, the Last Supper pictures, Good Shepherd magnet, Jesus and the Children and prayer booklets – which all help to inspire and strengthen our faith. May we continue to provide wonderful customer service, beautiful products and much joy to your soul. Thank you for shopping with Simple Blessings. 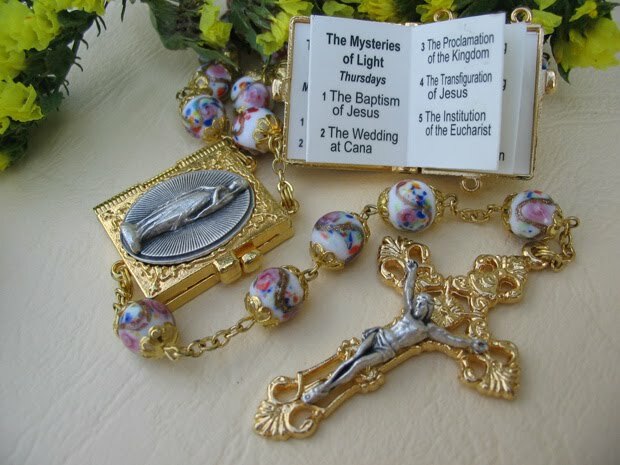 GHIRELLI Rosaries at Simple Blessings! We are now stocking the world famous Ghirelli Rosaries, from Italy – the rosary makers to the Pope! We hope you enjoy our selection as much as we do! I have a feeling they won’t be around for long, our stock is limited – so grab yourself a handmade rosary for yourself or family today! New stock will be arriving in a few weeks, and maybe some new designs too – so keep an eye out for an even wider selection very soon! You’ll be spoilt for choice.